Thus begins the journey of a pig with big dreams, and the perseverance to make them come true. He develops flight plans, builds experimental contraptions, and has far-flung adventures, but at the end of the day, his favorite thing to do is still to sit and watch for those he loves best: the birds. 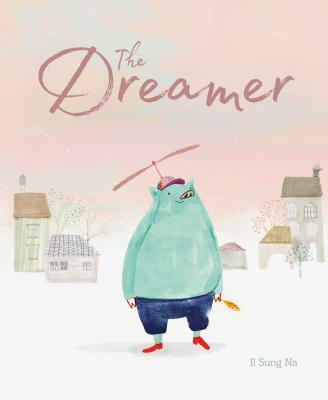 Il Sung Na creates a world at once whimsical and aspirational, where anything is possible and, yes, even pigs can learn to fly. Il Sung Na was born in Seoul, South Korea. In 2001, he moved to London to pursue a BFA in illustration and animation at Kingston University, where he discovered a passion for children's books. He lives in Kansas City, Missouri.